The world’s most popular sport will be in our consoles, PC and mobile devices as FIFA 17 is almost released. We are just counting days before we get to enjoy the football game we always love from EA. As we are waiting, what are the things that you are looking forward to in the game? The new Journey mode could be one because it is new. We will get to know the life of the protagonist and what are the behind the scenes in the life of a football player. What else? All I know for me, I am looking forward to rack tons of FIFA 17 coins and get all the legends and other players that I can get. 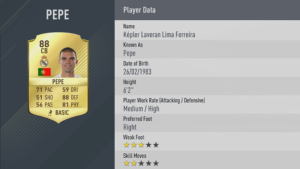 Speaking of legends and players, did you know that the ratings of some players are out? Well they are not official yet but it is speculated that they are almost 99% accurate. We can expect some ratings ups and downs from numerous players depending on many factors from last year. These could be performance, age, injury, etc. It is also possible that some of the ratings of players didn’t change. Which players do you think increased in rating and which ones do you think decreased? Are you happy with the ratings of Pepe for FIFA 17? 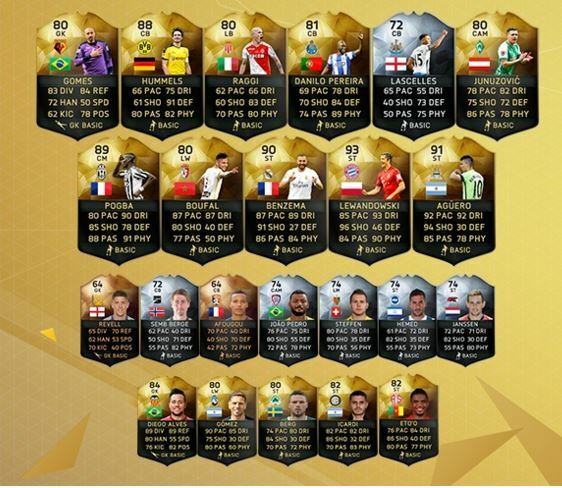 Click here if you want to see the other players’ ratings that have been released. Good thing that they gave us this information before the release of FIFA 17 so that we can plan things. Plan things? Well if you are seriously considering competing at a high level in FIFA 17 against other players, planning who you will get first will be a big factor. From there, you can build your team around that or those players you will prioritize in getting. This will help you in managing your FIFA 17 Coins as well.